Darren Sammy has two ICC World T20 championships under his belt, having captained the teams in 2012 and 2016 respectively. Surprisingly, his last match for the Windies turned out to be the final of the 2016 World T20 against England at the renowned Eden Gardens in Kolkata. His relationship with Cricket West Indies (CWI) hasn’t been smooth by any means. He also lashed out at the board after winning the T20 tournament in India three years ago. At the age of 35 years, Sammy is unlikely to find his way back into the national team and his international career is all, but over. 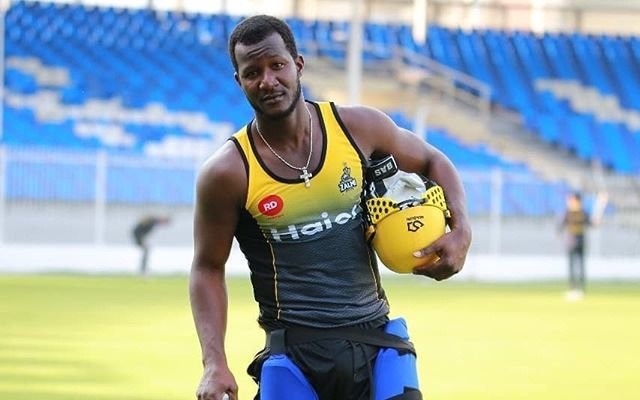 The St Lucia-born all-rounder is currently a T20 freelancer and is next scheduled to captain the Peshawar Zalmi in the fourth edition of the Pakistan Super League (PSL). He has been associated with the franchise from the very first season and recently attended the kit and anthem launch. In the meantime, the experienced campaigner had a rather ugly altercation with a user on Twitter. The user questioned Sammy for not supporting the Windies team at a time when they have tasted success. The Windies recently won the three-match Test series against England. The fan took to the social media platform and literally alleged him. “I like you Sammy,grew up in St.lucia.but it hurting me you are not even acknowledging the West Indies team,I know you have your beef with Mister Camron. but do you have a problem with the players? some you played with?” the nasty tweet read. I like you Sammy,grew up in St.lucia.but it hurting me you are not even acknowledging the West Indies team,I know you have your beef with Mister Camron. but do you have a problem with the players? some you played with?